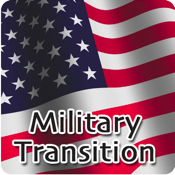 This app contains helpful tips for those people who have left military service or are about to leave. These are common sense advice on how to write resumes, how to conduct yourself during an interview, points to stress, and what to expect. You have many key skills whether you were an enlisted person or an officer and we want to help you put your best foot forward.